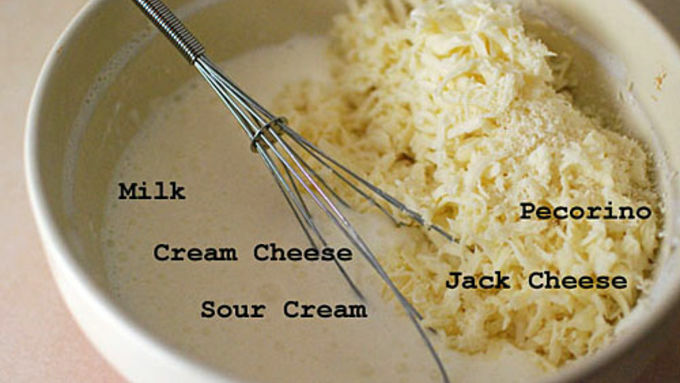 Mix the milk, sour cream, and cream cheese and whisk until combined. Add the jack and Pecorino and mix. Cook the pasta, strain, and add to the milk/cheese mixture. Mix well until creamy. Thaw the spinach and squeeze out extra liquids. Strain and chop artichokes. Add to the pasta mixture and mix well. 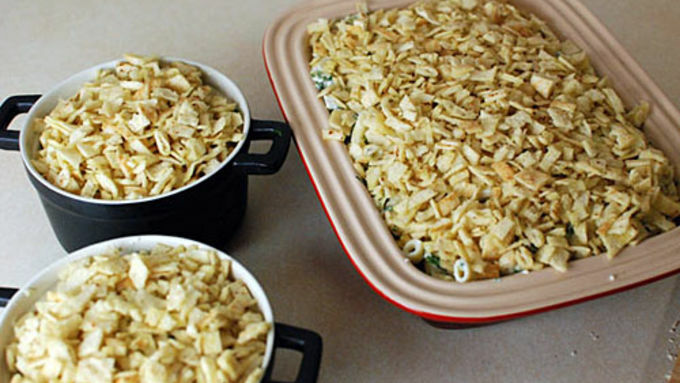 Pour pasta mixture into a large baking dish or individual sized oven safe bowls. Chop pita into small pieces. Toss with olive oil and salt. Top pasta with pita. Bake at 400°F for around 30-40 minutes until pita is well browned. My hobby is turning things into mac and cheese, and turning mac and cheese into other things. It’s a bit of an obsession (more on this next week). 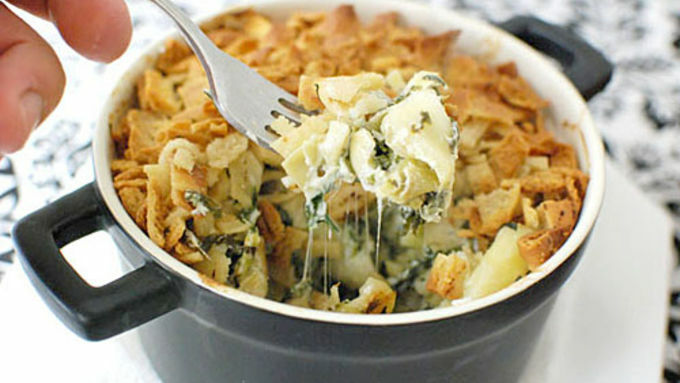 Today's subject is spinach and artichoke dip, the popular appetizer that is served with pita chips at many restaurants. 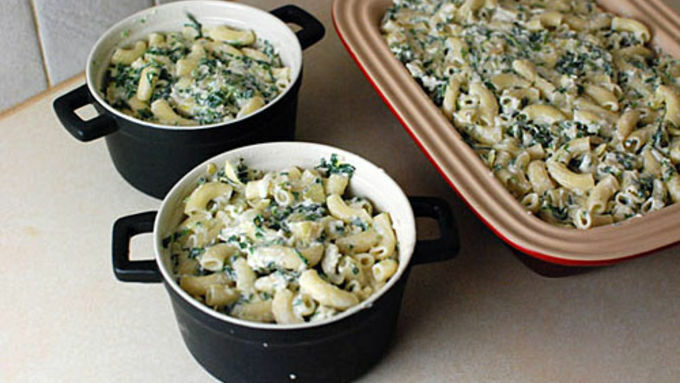 Spinach artichoke dip is so similar to mac and cheese that I am surprised I haven't made this Spinach Artichoke Mac and Cheese already! 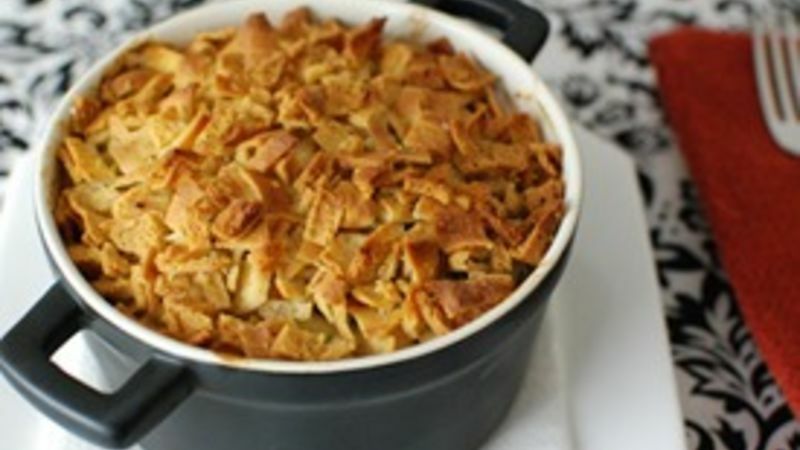 It’s cheesy, creamy, and baked, just like all homemade mac and cheese should be. 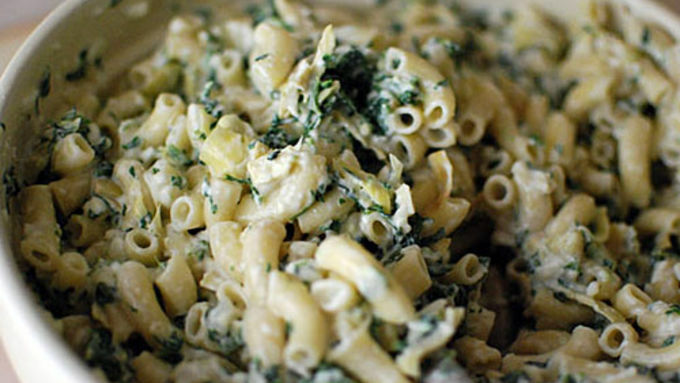 I took a standard spinach and artichoke dip recipe, upped the cheeses, and added milk and pasta. To finish it off, I added chopped pita to the top of the dish before baking to create a crunchy pita chip crust. 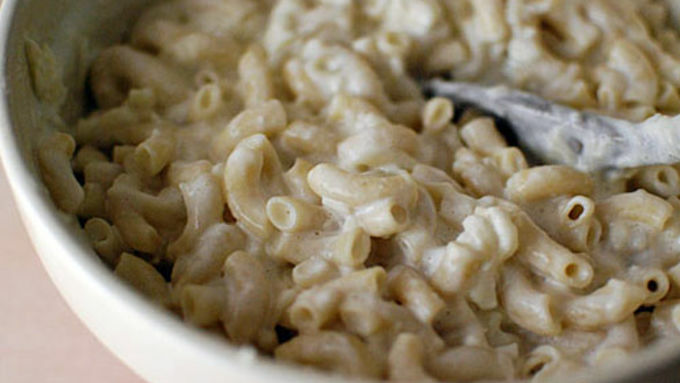 So good, you'll never want to eat plain mac and cheese ever again.